All meetings are normally held on the second Wednesday of each month in the Conference Room of the Village Hall commencing at 7:00pm. Members of the public and press are welcome to observe at any of these meetings. They may raise questions by invitation of the Chairman (having previously notified the Clerk or Planning Administrator) during the time set aside at each meeting for ‘Public Participation’ (the public do not have a legal right to speak at council meetings), but are otherwise not entitled to speak and should remain silent throughout the meeting. They may be asked to leave during discussion of certain items. 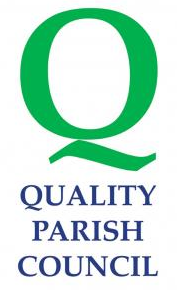 Agendas for all meetings will be posted on Parish notice boards and the website during the week before the meeting. The schedule of meetings may be altered or additional meetings called. Notices will be posted on the Parish Notice Boards and on the website. Parishioners who are not Councillors may be co-opted to Council Working Groups. Parishioners are welcome to inspect Minutes of Meetings or current Planning Applications on this website or by prior arrangement with the Clerk to the Council or Planning Administrator (as appropriate). The next ANNUAL PARISH MEETING will be held on Friday 26th April 2019, all members of the Community young and not so young are invited to attend.